Smithfield, RI - For an industry that has continued into a 10th decade in the Ocean State, radio has certainly had a more than a fair share of notable broadcasters leave an indelible mark on the local landscape. The Rhode Island Radio Hall of Fame was established in 2008 as an idea among local radio professionals, to celebrate the storied history of the industry in Rhode Island, and to honor the men and women who have played a part in its growth. Tom Cuddy – Beginning at WPRO-AM in 1980 after most of the prior six years at WARA, Attleboro, MA, Cuddy began as a night-time jock. At just 26 years of age, he was promoted to Program Director of both WPRO-AM and WPRO-FM replacing fellow Hall-of-Famer Gary Berkowitz. In 1987, the national stage called as Cuddy was named VP of Programming for the ABC Radio Networks; he also became VP of Programming at ABC’s FM flagship WPLJ in New York, and in 1994, more duties as VP Programming for the ABC FM stations across the country. Currently, he is Program Director for New York powerhouse WOR-AM. Rick Everett – An on air talent on many Providence stations including WGNG, WSNE and JB-105 before moving into programming in the 80’s, Everett also served as Program Director for several stations including WWLI-FM, WSNE-FM, WWBB-FM and WRX-FM where he was responsible for bringing the syndicated “Imus in the Morning” to Providence. After that, Everett spent the next 11 years as Program Director at WCTK-FM Cat Country 98.1, beginning what is currently a successful run for the station to the top of ratings’ charts among country music formats across the country. Dave Fallon – A current news anchor/reporter and afternoon host with RI public radio station WRNI, Fallon is a born-and-bred Rhode Islander, having gone to school at Cranston East, RIC, PC and the RI School of Broadcasting. 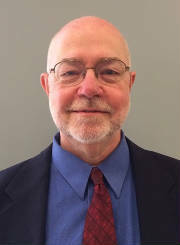 A 46-year news career includes 20 years in Boston radio and 20 years in Providence radio, including stops at WPRO, WEAN, WPJB and several in Boston and Hartford. Fallon is also a former director of the RI General Assembly’s Legislative Press bureau. 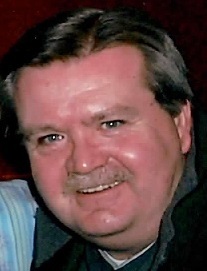 Paul Perry – With beginnings in Woonsocket as a part-owner of WNRI, Perry’s career has spanned more than 30 years at WSNE, WHJJ and WWBB, as well as WBZ-AM, WODS and (currently) WROR in Boston, after returning to Rhode Island in 2006 from working at WJMK in Chicago. 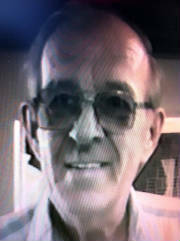 Perry has also been a teacher of the trade - in 1981developing a Radio Curriculum for those who wanted to pursue a career in the field. 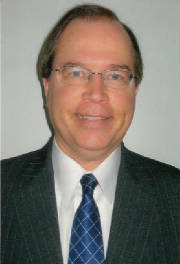 Since 1991 Perry has taught at New England Tech, where he designed the Associate and Bachelor Courses. Pappy Philbrook – Carroll “Pappy” Philbrook began his career in Rhode Island radio in the 1940’s, primarily as an engineer at WHIM, WHJJ and WHJY. Pappy literally built the stations, put together the equipment and wired the boards, and while he also served in some on-air capacities, he did just about everything else as well – especially at WHIM, where he even sold his own air time and served as morning co-host with “Captain Jack.” Prior to retiring in the ‘90’s, Philbrook was Chief Engineer at WHJJ/WHJY. Philbrook passed away in 2005 at the age of 83. 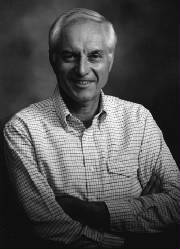 Tony Rizzini – After a career that started at WNRI in Woonsocket in the 1950’s, Rizzini developed and syndicated, to various stations, both the “Easy Listening” and nostalgic “Caravan” music formats heard for years on WLKW-FM/AM. He did voice over announcing for WJAR-TV in the 1980’s and at numerous other regional radio and TV cable systems and for advertising agencies throughout New England. 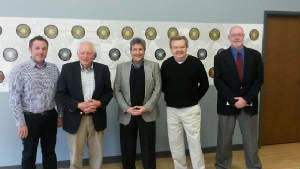 As Program Director at WLKW AM-FM from 1965 until the early ‘80’s, the stations were among the most listened-to “Easy Listening” formats in the country. Saucy Sylvia – An entertainment icon in Newport, RI, Sylvia performed for thousands from the Auld Mug Lounge for more than 30 years, and her entertainment program on WADK-AM ran for 27 years beginning in 1976…featuring local artists and performers, as well as those from around the world in town for various music festivals. 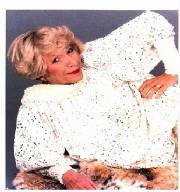 All told, she has been involved in radio for 70 years. Sylvia was also inducted into the Newport Jazz Hall of Fame in 2002, along with Ella Fitzgerald and George Wein for their achievements in music. Additionally, the Shepard Award – created to recognize the founders of radio (John and Robert Shepard, owners of the Shepard Department Stores) in the Ocean State and to honor present-day contributors to the industry through leadership, dedication, achievement, innovation and spirit – goes to Janice Skelly. 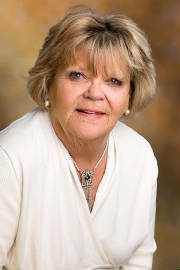 Skelly began her radio career in 1978, working for WPRO-FM in the sales department, and for most of the next 36 years, she remained a fixture within the sales and business operations of WLKW-AM/FM and WSNE-FM through several ownership changes. This year’s induction class will also include the award for station Broadcaster of the Year. Created to recognize outstanding radio stations and their personnel on and off the air, the 2014 winner is WPRO-FM, celebrating its 40th anniversary of broadcasting in their current hits-based format.